2014 was a super-fun-busy year for my company, Beyond Business. We supported 9 clients in the development of GRI-based sustainability reports: 7 are G4-core reports, one is G3 and one is not GRI based. In some cases, this included more extensive stakeholder engagement and/or strategic development work with these great clients, the results of which you can see in some of the reports. We also continued to support the different and varied requirements of other new and long-standing clients including bench-marking reports, reports analysis, strategy preparation and lectures and training sessions for management and in-house sustainability teams. 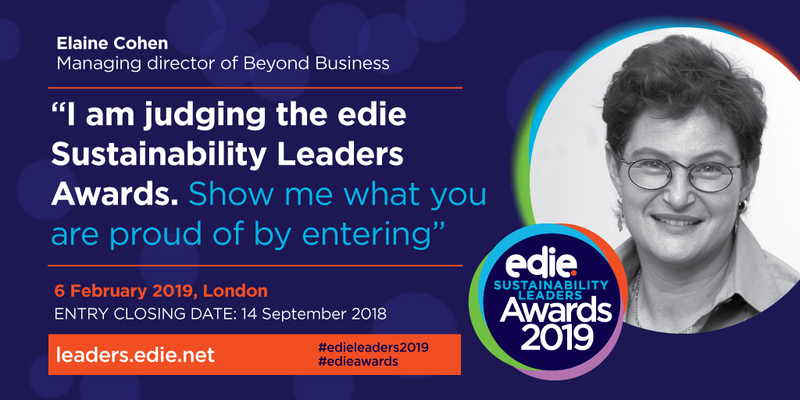 In 2014, Elaine lectured or facilitated in sustainability events in 5 countries in addition to our home base and also participated in an online debate about stakeholder engagement. Elaine contributed chapters to two sustainability educational books published in 2014. We continued to write frank sustainability report reviews that are published in Ethical Corporation magazine - 6 reviews in 2014. We have had an active year too on the CSR Reporting Blog with 66 posts excluding this one (that's an average of 5.5 per month) covering hundreds of sustainability reports, events, and general views on the transparency landscape. That brings the total CSR Reporting Blog posts to 511. The most popular posts of all continue to be the annual Top Ten Sustainability Report picks. We have responded to numerous requests for advice and assistance from students of sustainability or even fellow professionals or those aspiring to be. Through it all we have tweeted far and wide, mostly about #sustainability, #CSR and #reports, bringing our total tweets to 16,448 to 12,407 followers, at the time of writing. 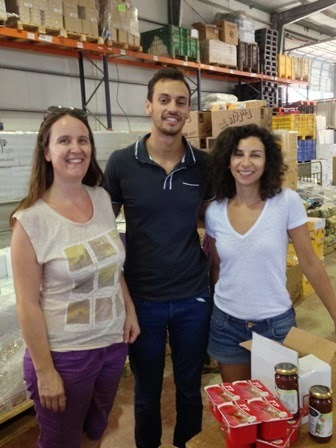 Our community involvement primarily took the form of cash donations to non-profit organizations in the areas of women's empowerment and food-waste rescue, and our team of four took a day in July to help pack food parcels that we purchased for needy families. We remain an environmentally conscious company, recycling pretty much everything and being carbon neutral since 2009, covering our modest GHG emissions through purchasing offsets. Also in 2014, we created, with a little (lot of) help from design professionals, our first sustainability video featuring Dr. Sustainability, and we launched our spanking brand new website, detailing the range of services we offer and the support we can provide to corporate clients, large and small. I'd love you to check it out! You never know, maybe there is something we might be able to assist you with in 2015! If so, I'd love to hear from you! In the meantime, we are looking forward to 2015 and another fun-packed reporting year. We hope you are too! 2015 is a new year - Happy New Year to everyone! And as we close out 2014, I thought it would be a good time to shake things up a little and get just a touch provocative. (Totally out of character, haha). See, I have begun to be really irritated by useless materiality matrices. I am looking forward to a year in 2015 where materiality drives strategy and reporting in a profound way, and where we stop playing around with dots on a matrix just because that's what seems to be the de rigeur of sustainability reporting. One of the things that is going to have to get a whole lot better if companies are really going to gain best value from a strategic sustainability approach is the way materiality is considered, analyzed, developed and communicated, as well as, more importantly, used as a basis to drive action. In many cases, it's near impossible to relate what are stated as material issues to the way the company approaches its sustainability activities. The more G4 reports I read, the more materiality matrices I look at, the more I come to the conclusion that, by and large, many companies are just missing the point. This is probably not entirely intentional. Maybe many companies actually think they are doing a good job of defining materiality. Spending time plotting little dots on a matrix and moving them up or down a millimeter may actually be someone's idea of meaningful strategic planning. Maybe people think that's how it's supposed to be done. Maybe companies look at their materiality matrices and give themselves a big slap on the back. But actually, it's not being done well. It's not hitting the right spots. It's not generating the leverage that is needed. Materiality, so far, as a concept, is not proving itself. It's a nice buzz word, makes everyone feel good, sound intelligent and provides creative license to draw pleasant graphs, charts and multicolor, even interactive, visuals, but it's not doing what it intended to do. This is clear from the disconnect we are still finding in sustainability reports between what's supposedly material (because the matrix says so) and what companies are actually doing (based on what's reported). In G4 reporting, companies are required to list material aspects and provide disclosures that show how an organization "identifies, analyzes, and responds to its actual and potential material economic, environmental and social impacts". Performance indicators supporting material aspects are designed to reflect how a company measures its performance in relation to those stated material impacts. While I know that the G4 framework is not always 100% logical, and there is, in many cases, a rather unfathomable connection between certain material Aspects in the framework and the Performance Indicators that are designed to reflect those Aspects, the underlying issue is whether companies are approaching materiality in a meaningful way. (Perhaps someone might even be able to explain to me why G4 chose the very odd word Aspects and did not use the very clear word Impacts when making materiality the G4 engine driver). The metrics, or indicators, can be adapted or developed to meet the need. The material impacts should first drive what a company does or should do, and therefore measures, and therefore reports. Creating a materiality matrix after you have done everything else is not exactly going about things in the right way. Let's think about what materiality really means in a sustainability context. It means the material impacts IMPACTS IMPACTS on stakeholders. You may be able to see, just about, that this company has loads and loads of dots, with the top 16 prioritized as the most material issues/impacts, supported by a detailed stakeholder matrix of what affects whom. The top 9 issues all have the same degree of importance to stakeholders, yet they are all at different coordinates on the matrix. Compliance with laws and regulations is only mediumly important to the business and to stakeholders while compliance with laws concerning products and services hits the top right box in the matrix. I wonder how these nine issues were plotted. What makes anti-corruption so much more important than anti-competitive behavior? The report gives no clue to how these issues were placed in the matrix. Their placement suggests that they are not equally most material and that some are more most material than others. What does this differentiation actually mean? To me, it suggests that there is a focus on moving dots around a matrix and not on the underlying drivers of sustainability performance. Notwithstanding the fact that the very act of defining a set of material priorities is an important part of the process and should be encouraged. Wow. The entire 46 G4 material Aspects and Sector Disclosure Aspects all carefully ticked or unticked and slotted into place on a matrix that it took me half an hour to work out what's where. I wonder how long the plotting exercise took and how the little letters on the matrix were locked into position. The color coding of the different categories makes it almost impossible to tell without detailed study what is actually most material for this company. It looks to me like the top three - turquoise "a" is "local communities" as the top issue, purple "c" is "occupational health and safety" one of the two runners-up and blue "d" looks like child labor as the second runner up. Why are these issues more important, than, say, anti-corruption, which appears much lower on the list, or labor relations which is not material at all? In Pan Silver's report, there is a large section devoted to the most material Aspect, local communities. It's about how Pan Silver, while doing its core business, is engaged with local community projects to support economic and social development. A really fine array of projects that I am sure are highly commendable and make a genuine difference to local quality of life. But why is engaging with local community development projects the most material impact of this company? What about the impacts generated through the company's core business? What about materials use and ecological limits? Pan Silver produced 26 million ounces of silver and 150 thousand ounces of gold in 2013. What about water use in the mining sector? Total water withdrawn for Pan Silver in 2013 was more than 42 million cubic meters, that's about 15,000 Olympic swimming pools. Not to mention water discharge with potential toxic chemicals. Pan Silver has addressed these issues in the report, but what makes them less important local community projects? Does the materiality matrix indicate priority in allocation of the company's resources required to address material impacts, suggesting that a higher priority received more attention, more resources, more commitment? What I would really like to know from Pan Silver is its most significant impacts on stakeholders. The top 5 or 10. I don't really care where they are on a matrix. I don't really care about the tenth of a millimeter of space between the little letters. Does anyone? I don't even believe it is possible to differentiate between the most important material impacts at this level of detail. I am sure the process of thinking about what is most important should have been beneficial. I suspect that the part where the dots on the matrix slotted into place is simply a total waste of time. And here is another example from The Hershey Company 2013 CSR Report. Hershey's has defined the priority issues and they are all dealt with well in the company's CSR report. It's great that out of a total of 25 issues, Hershey has selected ten that represent the most important impacts. However, what makes food safety so much less important than ethical sourcing? Why is child labor so much more important than GHG emissions? Why is ethics more important than governance? And if philanthropy is so low on the matrix, both for stakeholders and for the company, then what's it even doing on the matrix? Isn't that just a waste of energy, deciding where to put the philanthropy dot? And if the currency is dots, is philanthropy the only dot that is loooooooow priority? I could think of a whole load of additional issues that might have come up in a materiality discussion that are not on this matrix. The point is, selection of the top ten prioirities is great. Using these materiality priorities to define strategy is fantastic, and structuring your reporting around these material priorities is brilliant. Hershey does this fairly well. But taking that to the point of plotting dots on a useless matrix is what I don't understand. Especially if no-one explains why these dots are where they are. The G4 guidance for determining what is material makes reference to defining thresholds for materiality and defining and documenting how the thresholds have been defined. The guidance also offers a matrix for presentation of material issues. But this is guidance... it's not a G4 requirement. In general, the companies that present materiality matrices define why issues are material but they do not make reference to the relative material priority of each dot on the matrix. So why bother with a matrix. Why not simply do what is asked: give a list. Materiality and its importance were recently addressed by think-tank advisory firm SustainAbility. SustainAbility published an excellent paper on transparency and its use as a driver for improved performance. SustainAbility says: "Most companies are not gaining the value commensurate with the resources spent on reporting." This is a proposition that I wholly agree with, for many reasons. (Haha - you can see that from my red text). SustainAbility's response to this is to use materiality to drive the rest. The SustainAbility paper provides two examples of materiality presented in reports: PG&E and Fibria. The PG&E Sustainability Report for 2013 presents a materiality matrix in a pretty familiar way - using dots. (SustainAbility helped PG&E create this matrix.) It has an element not usually found in materiality matrices: the addition of arrows showing the interrelation of issues. The online presentation of the matrix is interactive - when you click on an issue, it turns blue and a number of little orange dots show up connecting things to the blue dot, as in the version shown below. No connection between Public Safety and Employee Engagement, for example. Seems rather odd to me. However, SustainAbility writes in their report that highlighting interconnectivity between issues "provided insight into how PG&E might approach issues in a more integrated way." Intuitively, that sounds sensible to me. Although, if I were to be truly provocative, I would say that pretty much everything is connected to pretty much everything. In the PG&E matrix, however, we again we have a nicely arranged set of dots. It is not clear, based on the description of the process, what criteria were used to actually decide where each dot should be carefully placed. On what basis do you assess the scale of business impact? Is this an opinion based assessment or a fact-based analysis? Interestingly, PG&E states that: "PG&E’s materiality assessment identified 18 issues. Every issue is material to PG&E’s long-term sustainability, regardless of its placement on the matrix." Sounds to me that there is no need for a matrix. The real value of the process was the engagement benefit. See this quote from the Corporate Sustainability Director. The Fibria 2013 Sustainability Report, on the other hand, uses the list method. Isn't this super-clear? Ten key issues, all equally important, all top priority. Businesses are complex things. It's OK to have more than one top priority. However, the plain, no-dots list of material issues, and its use in defining strategy and reporting is.... for me.. the way to go. I like the list. I don't like the meaningless matrix. In addition to the list of top priorities, for completeness, companies may also select to indicate other topics that are on the radar, but not considered to be most material. This could be another (not too long) list. All attempts at creating flurries of dots is simply a waste of energy. So here's to a great 2015 and clear, focused, material reporting. Another year-end, another excruciating task picking out my Top Ten Sustainability Reports for 2014. It's excruciating because narrowing my selection down to ten is probably the hardest thing I do on the CSR Reporting Blog each year. I am always tempted to go to 15, or 20, or 25... but then I think that tradition has its advantages and I have been picking Top Tens now for several years... 2010, 2011, 2012 and 2013. These are always the most popular posts of the year and get thousands and thousands of views. So why change a winning formula? Nevertheless, this year was particularly tough. There really are some great reports out there. My selection is always based on reports that cross my radar throughout the year, not a scientific or strict methodical evaluation of the report quality. Some of them have already featured in different blog posts. I try to select a cross-section of companies, sectors and countries, rather than selecting the big names in reporting that generally pick up reporting awards around the world. However, as I have done for the past few years, I use the AIM MODEL as I consider the reports that I find worthy of mention. Each report adds value in its own way, and each report is evidence of progress. Therefore, in mentioning a mere ten reports of the thousands that were published in 2014, I continue to do reporting somewhat of an injustice. On the other hand, highlighting these ten reports and their unique elements may provide insights and inspiration for new reporters, or potentially better reporters. In any event, this is always a post I find both challenging and fun all at the same time. Authenticity: I look for whether the company has reported in an honest way, using stakeholder voices to supplement performance data. Authenticity for me includes balance, accuracy and completeness. I look for targets and progress against stated targets. Materiality: I look for whether the company has clearly defined the most important issues for the company and its stakeholders and described the way in which those issues have been identified and prioritized. Reporting materiality should also include a certain amount of contextual information which can assist us in understanding the issues and why they are material. Impacts: I look for whether the company identified impacts rather than just presenting a shopping list of activities. This means discussing the outcomes of what was achieved. The outcomes are the achievements (impacts), not the activities. This is by far the most difficult thing for companies to address and very few do it well. And, in alpha order by company name, my Top Ten pick for 2014 includes larger and smaller companies, companies reporting for the first time, companies using the GRI framework at G3 or G4, and companies not using any framework, from all corners of the world and from a range of business sectors. There's something about the consistency and intelligence of ArcelorMittal's reporting that makes it a reporting winner for me this year. ArcelorMittal's global sustainability report is no design extravaganza and you won't find any spectacular graphic elements or sweet photos of kids holding up the world on steel girders. But you will find a carefully crafted, well-written and balanced account of the company's impacts across its value chain, supported by clearly presented performance against targets and future plans, with considered material focus. A selection of short case studies supplement the narrative. One of the things that has always impressed me about this company is its commitment, not only to global reporting, but also to local engagement. This year, the company published 15 local reports in different markets, each a report in its own right and not a copy-paste translation of the global report (although there is a shared overall strategy framework). In fact, ArcelorMittal is deepening its local stakeholder engagement efforts, with a plan for engagement at "each and every" ArcelorMittal site. There is a compact stakeholder overview in the global report. The global report follows a familiar structure framed around ArcelorMittal's strategy covering: investing in people, making steel more sustainable, enriching communities and transparent governance. In each section, progress is noted and relevant context is provided in each area. This aligns with the material focus of ArcelorMittal. The material issues were developed in a process involving internal and external stakeholders. The top six issues are all direct impacts of ArcelorMittal's operations. I wonder if the broader issues relating to the contribution of steel to society and the way steel consumption over time is changing may be equally important. This is addressed by ArcelorMittal in its reporting - I wonder if the materiality process employed was broad enough to include the full value chain impacts of steel-making as well as a focus on the operational impacts of the company. Something for ArcelorMittal to consider in future. However, this does not detract from the fact that this report is well done and fits the aspirational AIM model very well. For web-users, ArcelorMittal offers an online interactive infographic this year which is fun to explore. This is DS Smith's first report and it is swimming against the tide a little (in a way that I find encouraging!). The company says: "We have previously included a section on corporate responsibility within our Annual Report, which was aimed primarily at the financial community, but as our company continues to grow, we now want to broaden our reporting and reach a wider audience." Well, now, it's broadened. I have never noticed any of DS Smith's annual reports but I have noticed this Sustainability Report, and now, you have too! DS Smith employs more than 21,500 people worldwide, in over 250 facilities across four continents, supplying four main products and services: packaging solutions, containerboard papers for the packaging industry, recycling operations and supply of flexible packaging and dispensing products. First, although it is not a GRI-base report, DH Smith has followed a materiality assessment process, defined material issues and clearly linked the report content to what's material. The company explains its targets in different sustainability performance areas and links them to corporate values in an innovative presentation. DS Smith's report includes case studies demonstrating performance and a statement of outcome. This is unlike many case studies in most of the reports that I read that simply describe a nice activity without telling us what kind of a difference it made. DH Smith's report also includes external stakeholder voices and insights throughout the report, demonstrating a level of engagement in practice and an outward focus on stakeholders. All in all, a very readable, interesting and AIM-worthy first report. Reports from Latin America are generally quite colorful and this one from Globant in Argentina is characterized by bright design that makes reading this report fun. Sustainability is serious but it's also optimistic, energizing, aspirational and more. So many Sustainability Reports are soooooooooooooo serious, sooooooooooooooo tedious and sooooooooooooooooooooo straight-laced that it's no surprise that people moan and groan about how boring they are. Fun reports reflect a fun state-of-mind and it's catching. Globant's report combines this with good transparency and narrative in this G4 core report. Globant's business is about developing innovative software solutions for global audiences, headquartered in Argentina with offices around the world, employing more than 3,200 peopple. WPP, the large communication service group, acquired 20% of Globant at the end of 2012. Globant's material issues, although appearing right at the end of the report, are clearly (and colorfully) stated. Globant reports on 16 material Aspects and 21 performance indicators, demonstrating considered selection and focus of disclosure. Each report section follows a similar structure : approach, management and performance narrative, supported by performance indicators and case studies as relevant. Globant provides data for three years, which is good practice. Although this report does not contain any external stakeholder voices, much of the narrative is outward looking, referring to impacts on stakeholders and impacts in markets and communities, with stakeholder engagement key players and headlines of their input. In future, it might be nice to see some (colorful) commentary from Globant's stakeholders. In the meantime, a respectable, credible and fun AIM-type report from Buenos Aires. Of course, not every global company with hundreds of thousands of employees can included a thumbnail of every single employee .... but more than the pictures themselves, this tribute to employees is a rare demonstration of the true appreciation this privately-owned, forward-thinking award-winning sports apparel company has for every individual. Including all employees in Impahla's annual report has become something of a signature style for this company. That's part of the reason that Impahla is special. The other part is the founder-leader, William Hughes, a modest Kenyan-born businessman whose visionary insight and trust-based actions have shaped Impahla into a successful and sustainable business. William writes in his introduction to this 2014 report that it is written as much "for ourselves" as for external stakeholders, which I believe would be a good approach for many companies to adopt. The report is neatly put together, smacks of professionalism and attention to detail, and is a true celebration of employees throughout the narrative. Material issues are described over a couple of pages, and page references guide you to the detailed disclosures. Results are shared with no holes barred - both the good and the challenging. A case study here or there adds a little color. If there is one suggestion I might make to Impahla for future reporting, it would be to give some external stakeholders a voice. Impahla is a business rooted in the local community, a dedicated supplier to the great PUMA, a significant local employer .... while Impahla tells its story extremely well, the affirmation of external voices would help amplify and reinforce the credibility of Impahla's reporting. However, in my view, Impahla's reporting has been consistently AIMful over several years and I believe, will continue to be so. They say you should never judge a book by its cover. I say you should never judge a Sustainability Report by its photos. But some reports have photos that are just too great to pass over without comment. So it is with Kathmandu. Kathmandu is a leading retailer of outdoor clothing and equipment with 146 stores in Australia and New Zealand and 4 in the UK. The company employs just over 2,000 people. This is Kathmandu's third report. Here are some of the photos. Although I would have like to have seen a slightly more direct link between material issues and performance indicators reported, Kathmandu works well with the GRI G4 framework in a focused 32 page report, covering its stated material issues. An overarching issue for any apparel manufacturer is always supply chain management. Kathmandu deals with this well, with full description of the company's approach and strong relationship with a key supplier, while admitting that, at the other end of the spectrum,"we acknowledge that we have suppliers who are not achieving high standards and we are striving to increase awareness and assist them to build capacity." The challenges are by no means simple and Kathmandu transparently related an incidence of child labor in a new proposed factory as a young girl aged 15 had falsified her age and an older relative had provided verification. Kathmandu details its approach to instances of this nature - things, I suspect, that plague every manufacture using outsourced operations. Kathmandu's report also provides short case studies and outcomes of environmental activities in a way that is easy for us to understand. As short, focused, materially relevant reports go, Kathmandu is definitely on the AIM scale. Olam International is a leading agri-business operating from seed to shelf in 65 countries, supplying food and industrial raw materials to over 13,800 customers worldwide with a team of 23,000 employees. Key raw materials supplied include cocoa, coffee, cashew, rice and cotton. Olam apparently means "transcending boundaries" - though I am not sure in which language - and this theme comes through in Olam's reporting. Taking a landscape view of the overall value chain is a good place to start. Olam's 2014 report is a simple GRI G3 Application Level C affair. Or so it seems. In reality, it's an exceptionally cleverly written and designed, compact account of how Olam is making a difference in 7 key sustainability focus areas, presented as case studies in the report and exemplifying Olam's holistic sustainability approach. In each section, we are provoded with relevant context, Olam's actions, connections to other parts of the value chain and outcomes. The narrative is short but the message gets through. Definitely Olam has AIMed for an impressive report, demonstrating equally impressive performance. Simple Green is the brand of Sunshine Makers, a privately-owned family company founded over 39 ago by the father of Bruce FaBrizio who runs the company today. The company developed a biodegradable, not-toxic, non-flammable, non-abrasive cleaning formula and now sells environmentally friendly cleaning products in 41 countries, manufactured in 11 facilities worldwide. Sunshine Makers employs 59 people directly and works with a network of partners for distribution. Sunshine Makers also founded EGBAR (“Everything’s Gonna Be All Right”), a non-profit foundation for environmental education and community improvement projects. I reviewed Simple Green's inaugural 2014 report on my recent post about U.S. first-time G4 reporters. Simple Green does a nice job of reporting for the first time and using the G4 framework, two achievements rolled into one. As the name of the brand, so the report. It's simple, and it's green. The report takes a value chain approach and uses material issues to drive the reporting content. The company covers its key sustainability risks in a transparent way over several pages of the report. External stakeholder voices are represented also throughout the report. A very greenly AIMified report. An interesting thing about Telekom Austrian's report, as I wrote earlier this year, is the use of external insights to raise critical reporting questions and perspectives. This is a report that you read to help you think about issues, not just learn about the performance of a specific company. Telekom Austria also presents performance in a clear way, showing both continuity and intent. Overall, AIMworthy performance and reporting from Telekom Austria. I blogged about Tiffany and Co's 2012 Report during 2014, and this one is even more sparkling than the last. Not only because of all the spectacular diamonds. Tiffany's report is as elegant in narrative style as it is in design. The story of diamonds is well told, with responsible mining, as you might have guessed, being the number one issue that is addressed comprehensively in this report. Tiffany has adopted a leadership approach in its own operations and in the sector over many years. What I like about Tiffany's reporting is the detail provided regarding sourcing of different raw materials, many of which have been controversial at some point and/or remain so today. Tiffany explains its sourcing, auditing and traceability processes, and its corporate position for each. A full set of focus areas is included in the report - following a materiality assessment - although it is not clear to what extent specific engagement with stakeholders shaped this approach, or whether it was the result of internal analysis of trends, issues and analysis. Tiffany's 2013 report is, I believe, an AIM-driven report. Wipro Limited is a global leader in providing IT Services, Outsourced R&D, Infrastructure Services, Business Process Services and Business Consulting. Wipro has a workforce of over 140,000 employees and serves over 950 clients across 57 countries. Wipro's 2012-2013 Sustainability Report is not just a report, it's an entire education. Telling the story of the migration patterns of butterflies on journeys which includes Wipro's biodiversity-friendly designed campus in Bangalore, Wipro likens the path of sustainability to their butterfllies' journey - transformation, tenacity and endurance. "The sustainability journey is similar and progress happens in small and often invisible steps. We think that every such step, every movement forward is important . Eventually the actions and thoughts of the many will add up to a critical gestalt, a point of significant inflection. The butterfly’s journey symbolizes a spirit of commitment to its future generations in the face of severe odds. It is to this spirit that our sustainability report this year is dedicated." That's probably the most inspiring sustainability report opener that I have seen this year, or even ever. It's a fabulous story, not plucked only out of Wipro's imagination, but an example of a sort of miraclulous and uplifting event that touched the hearts of the Wipro folks. It's really nice. You should read the butterflies' story. But that's not all. Wipro's sustainability report is also a reading list. It seeks not only to inform but to educate, commemorate and inspire. With excerpts from classics that represent the landmarks of the sustainability movement, beautifully designed, this report is an entire Environmental Sustainability Education Program. But don't get distracted by Wipro's creativity and respect for the great sustainability thinkers of our time. Wipro apparently has some sustainability thinkers of its own. The report is well constructed, referencing, not conforming, to GRI, but nonetheless, applying a material core. Not one, but two. Wipro splits its materiality analysis into two - actually, this is an interesting approach - and present smaterial issues for both econo-environmental and social aspects. Wipro's report contains an overview of business and sustainability megaforces that provides important context and perspective. This is under the theme of the Sustainability Mobius. And I also know why it's relevant: "..... complex, interrelated issues and our fragmented and siloed societal structures have largely been incapable of responding to these with a greater sense of urgency. The lines are blurring between all the stakeholders, their interests and business – with no clear start and end points much like the mobius strip." Wipro presents achievements in the reporting year and objectives for the future - mainly qualitative but some quantitative targets. It's all very clear and very orderly and very meticulously done. If there were to be one suggestion I would make to Wipro for future reporting, it would be to raise the bar a little beyond operational activities in favor of greater emphasis on external impacts and contribution through core business accounting for the transformational change the company drives in society at different levels. Even so, this report has AIMed for much more than a report, and it's an absolutely deserving member of the 2014 Top Ten club. I hope you enjoyed this overview and that you have met some reports that you hadn't seen before. I hope these reports bring inspiration for other reporters. Using these reporting ideas is never quite as simple as copy-pasting, because every company has a unique message, style and tone. However, some of the Top Ten reports may help you look at things in a different way as you undertake your first, or next, reporting cycle in 2015. Good luck! NB: As usual, to be fair, I did not include reports that I have worked on or from other clients or affiliate or parent companies. If I were to do that, I wouldn't have room for any other reports ha-ha. But it also shows you how magnanimous we are on the CSR Reporting Blog :)) Gotta give 'n take a little in life, right? For reports I have worked on in 2014, see the Beyond Business (new improved) website. Happy Reporting in 2015, everyone! Here's to the next Top Ten.